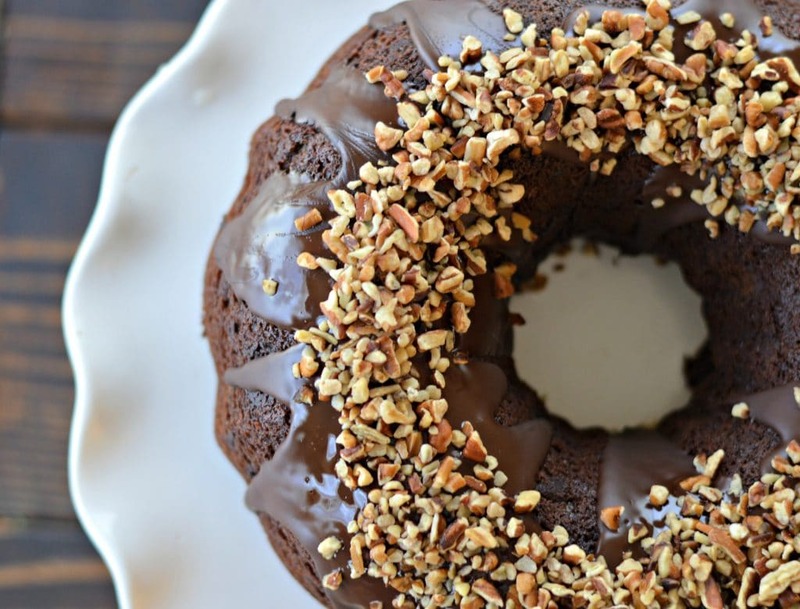 Inside: This Homemade Triple Chocolate Bundt Cake recipe will quickly become your favorite. Keep reading to find out how easy it is to make and to see all of the great ingredients! Whenever I am having a bad day, I know that there is one thing that can cheer me up, and that is chocolate! The smooth delicious taste of milk or dark chocolate can take a bad mood and turn it into a good mood, so that is why I always try to have some great chocolate recipes on hand! 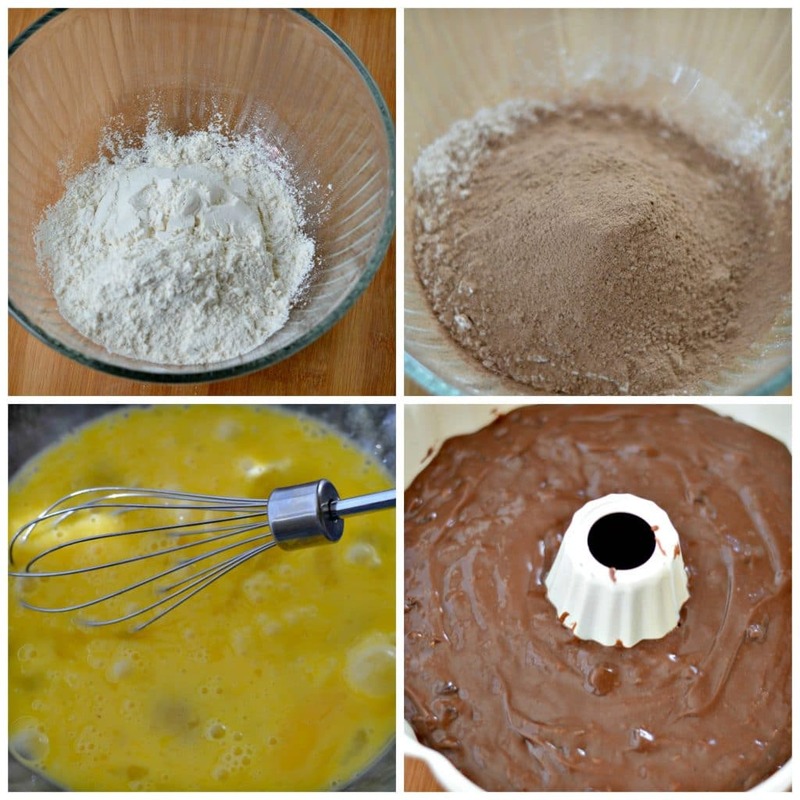 Why Use Homemade Cake Mix? This particular recipe has plenty of chocolate to go around, but it is not all chocolate. 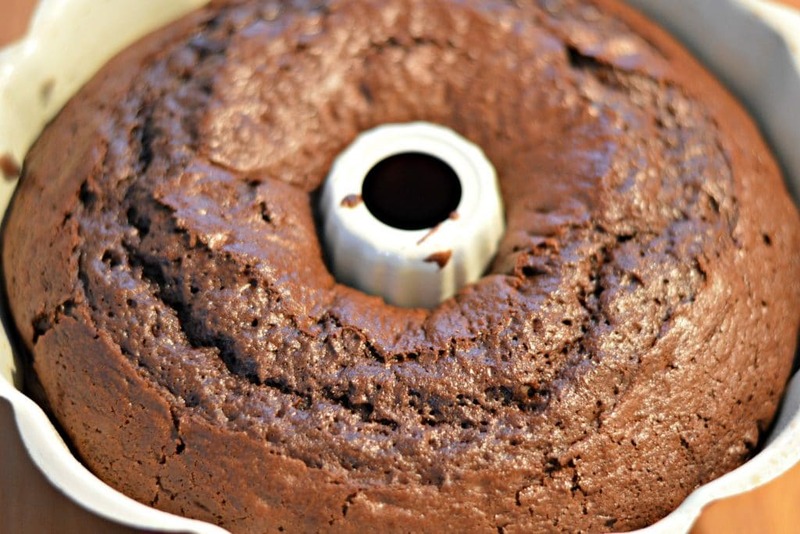 I have seen lots of recipes for chocolate bundt cake, but most of them use a pre-made cake mix. While that can be good in a hurry, I like to make my recipes as much from scratch as possible. When I have to consciously think about and see each ingredient that I put into my recipes, I know that they will be high quality. That is why I start with All Purpose Flour to make my own cake mix, followed by a variety of other ingredients. 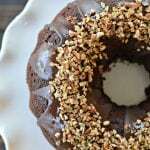 This triple chocolate bundt cake also includes chocolate pudding, vanilla, and other tasty ingredients. It is pretty easy to make and everyone that tries it loves it! This cake takes a little while to bake, so make sure that you plan on at least a couple of hours from start to finish. I promise that it will be well worth the wait! 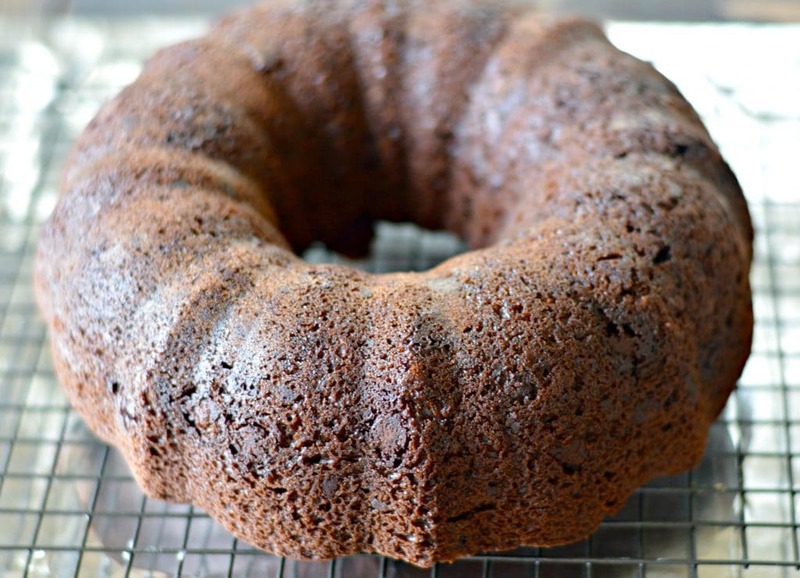 After the chocolate bundt cake has cooled and you have removed it from the bundt pan, you can decorate it however you want. In order to justify the “triple chocolate” name, I drizzled melted chocolate over the entire thing. If you want – you can just stop there, but I also added some chopped pecans for a little extra crunch. 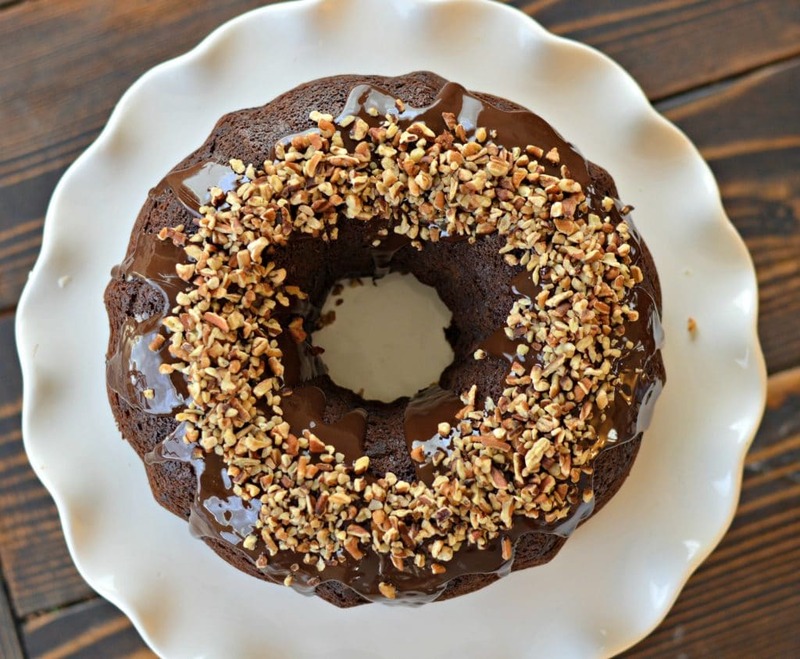 However you decide to decorate it, there is one thing that you can be sure of – this homemade triple chocolate bundt cake is not going to last for long! This is quickly becoming a family favorite and one that we surely will be taking to many events with family and friends in the months and years to come. I would love to hear how it turns out for you in the comments below! 2 cups of semisweet or milk chocolate chips. Combine the first seven ingredients in a stand mixer and mix well. Spread the batter evenly in a heavily greased bundt pan. Let cool in pan for at least one hour before removing. 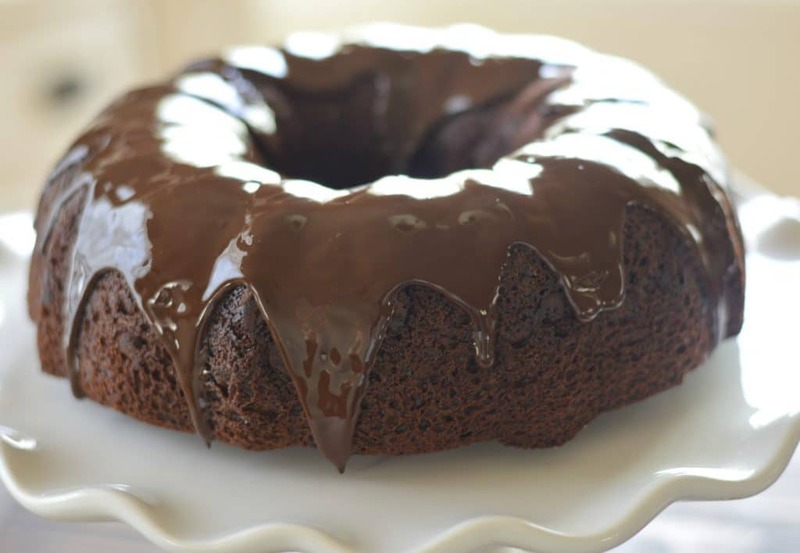 Melt the melting chocolate and then drizzle over the cooled cake. Top with chopped pecans if desired. Never have I seen a cake recipe only using 7/8 C. four. Is it equal to 1 C. minus 1 Tbsp. or less? Never have I seen a cake recipe using only 7/8 C. flour. Is that equal to 1 C. minus 1 Tbs. or less? Hi Judy – That should be about right. I just used 1/2 cup + 1/3 Cup. You could really just use 1 cup and it should be fine. I’ll update the instructions to make it more clear. Thanks! 1/8 cup is 2 tablespoons, so 7/8 cup is 3/4 cup plus 2 tablespoons.